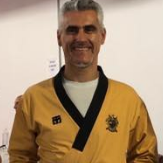 All of our trainers are Kukkiwon certified, hold working with Kids Checks as well as Australian Taekwondo Coaching Accreditations and 1st Aid Qualifications. Instructors must hold a 2nd Dan Black Belt to teach and assistants are required to have a 1st Dan. Master John founded Red Dragon Taekwondo in 2002 but has been teaching Taekwondo since 1992. "Taekwondo has been a passion of mine ever since I discovered that if I worked very hard on myself, I could impress at class. I would get chosen to demonstrate techniques or do Self Defences with, or to spar the top fighters over the higher belts. I was challenged straight away hence I feel I grew in confidence and found benefits from doing Taekwondo as a result. This has helped me in my life, meeting amazing people, getting rewarding employment and career, making amazing life long friends, all due to the confidence building nature of Taekwondo!" 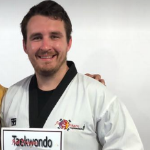 Chris started Taekwondo in 1997 and has never looked back. In 2012 he moved from Sydney to Melbourne and set up a Red Dragon Class in Kilmore. This class is still going on strong boasting numerous outstanding Black Belts and strong numbers in his classes. Adam is the other full time instructor with Red Dragon Taekwondo. He has 7 years teaching experience and is the backbone of the club. Adam has proven to be an excellent coach, his fighters constantly finding success at State and National Level. Adam is a very impressive Student and Instructor that gives 100% with either endeavour. He assists in preparing the Sparring Team for tournaments by using his explosive and accurate sparring style to challenge our top fighters. He is also very good with kids, his Classes are of the most popular with the students.